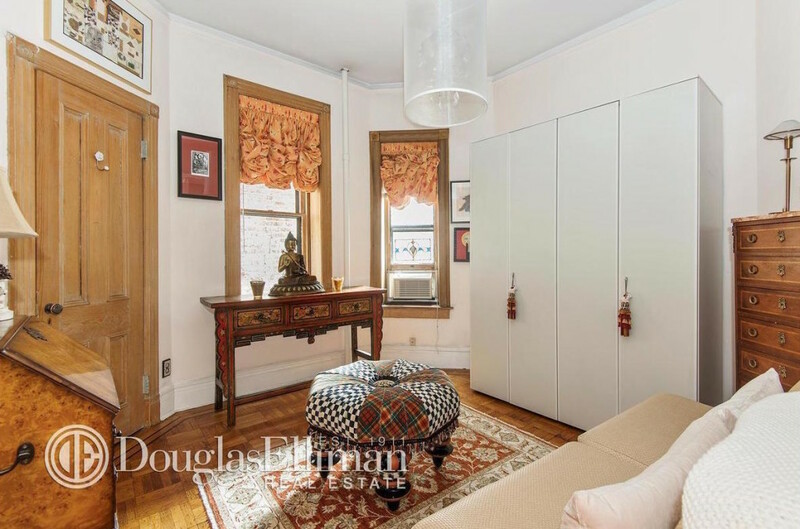 High ceilings, tall windows, original parquet floors, pocket doors with brass hardware, and restored moldings frame the space; the living room is a mix of warmth and crisp mid-century elegance. 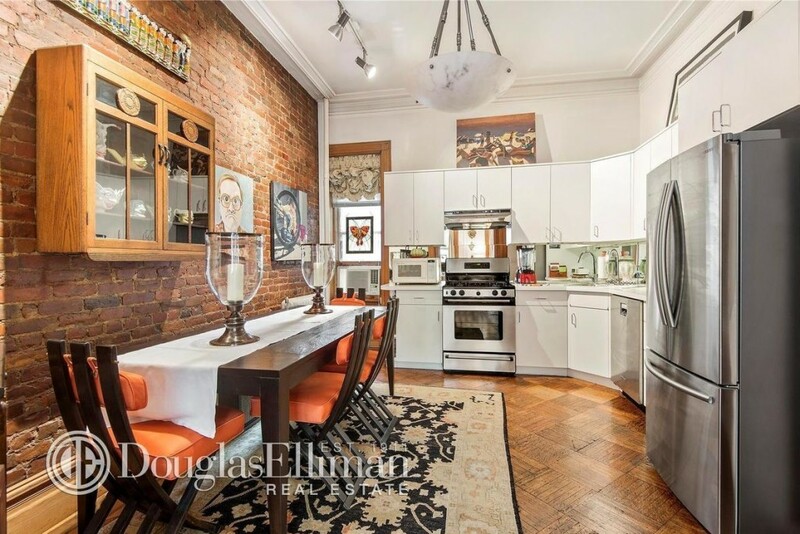 The kitchen is of the eat-in variety rarely seen in NYC apartments–and by that we mean there’s actually a big table and plenty of space to gather around it. Clean, white cabinetry offsets stainless steel appliances, and exposed brick adds more warmth to the already intimate space. 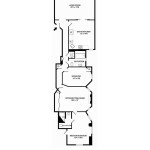 The floor-through configuration doesn’t mean you lose out on windows, they’re everywhere. 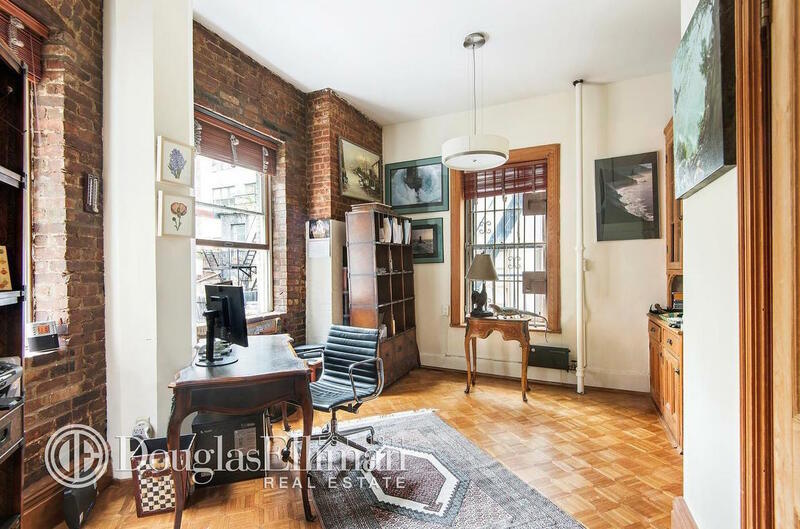 Revisiting the floor plan shows a large office that could easily become another bedroom with the addition of a wall or two, though this looks like the perfect space for work or a creative endeavor (Eames Aluminum Group chair probably not included). 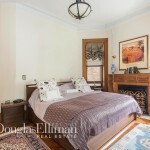 More high ceilings and parquet floors in the bedrooms, of course; better yet: one of the two fireplaces. 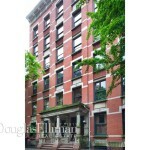 The Portsmouth is one of New York City’s earliest apartment houses. 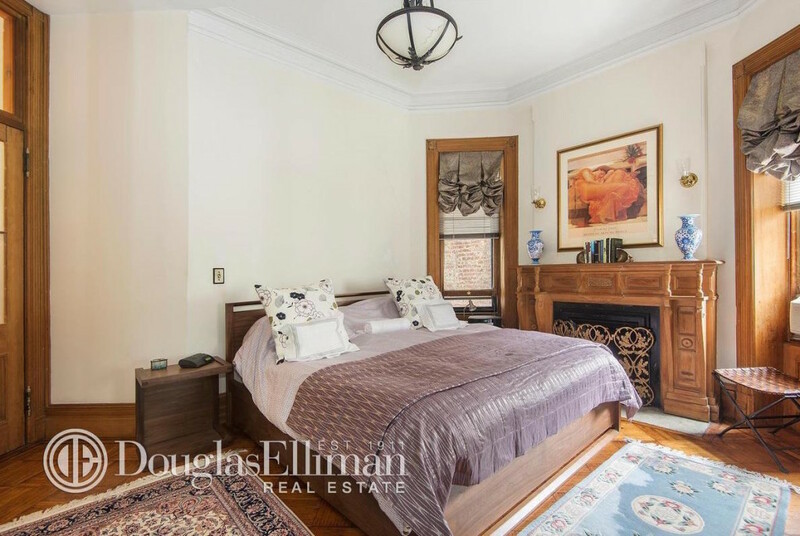 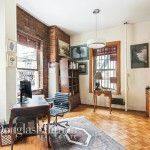 Built in 1882 and converted to a cooperative in 1973, this elegant six-story building has a recently-restored lobby and new elevator and offers a part-time doorman and basement storage. 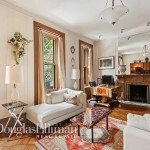 As far as the location, it’s hard to beat this prime spot among the tree-arched sidewalks and historic townhouses and apartment buildings on West 9th Street. 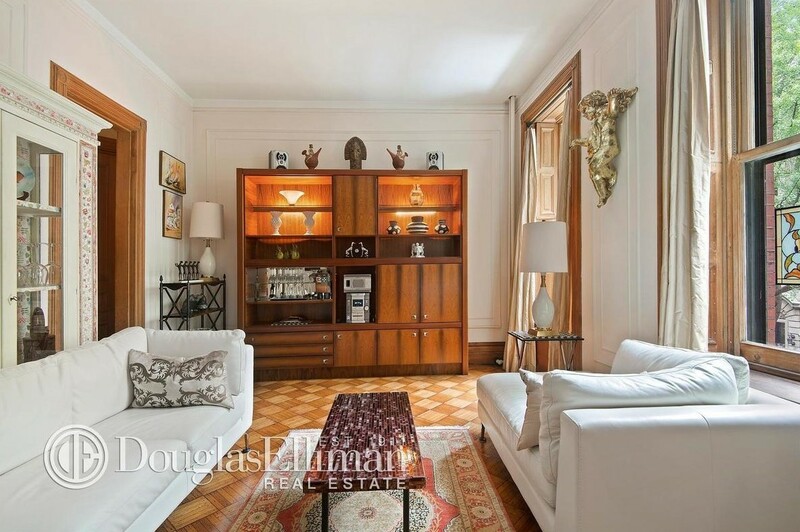 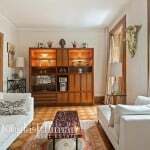 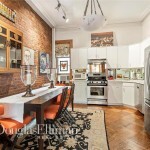 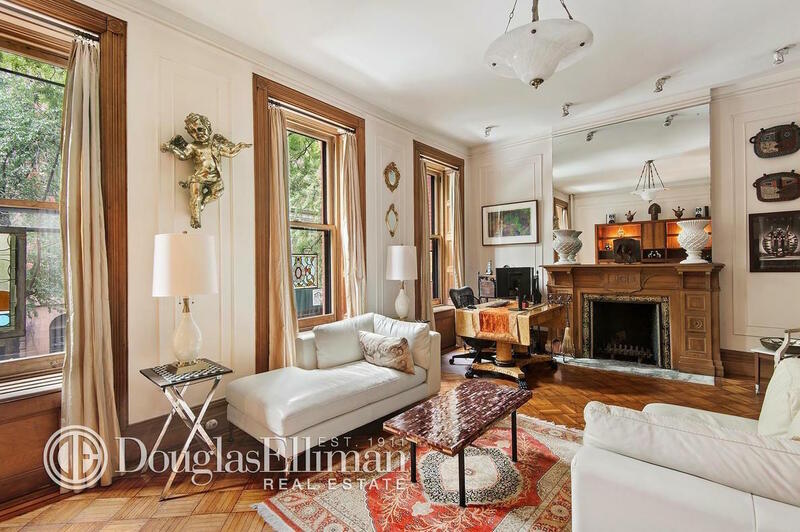 Plus, it’s just a block from Washington Square Park, a treasure that today commands top dollar.